In this paper, we study the pricing decisions stability when a retailer adopts bundling strategy for complementary products. We firstly explore whether or not the decision maker will adopt bundling strategy, finding that bundling strategy benefits retailer’s profit by improving sales of both products. Considering demand uncertainty, we focus on a bounded rational decision maker adjusting decisions in each period, build a dynamic pricing system and study its stability based on chaos theory. According to different pricing strategies for the bundling products, we propose two game models, i.e., simultaneous and sequential game, and compare the performance on the bundling strategy and system stability. The results show that both game models can reach the same optimal decisions, but sequential game has a better performance in keeping system stable. We also show the joint influence of parameters on the system stability and find that the retailer can control a chaos system caused by uncertain demand by slowing down the speed of decision adjustment. 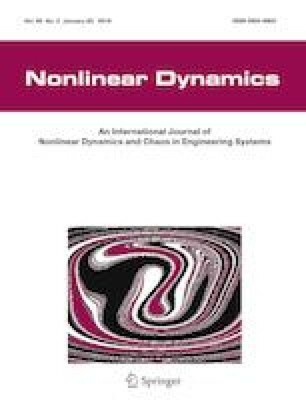 This paper’s theoretic contribution is to compare the performance of two or more systems’ stabilities based on Jury criteria. The research was supported by China Scholarship Council (CSC) and the National Natural Science Foundation of China (Grant No. 71571131), Doctoral Fund of Ministry of Education of China (Grant No. 20130032110073).